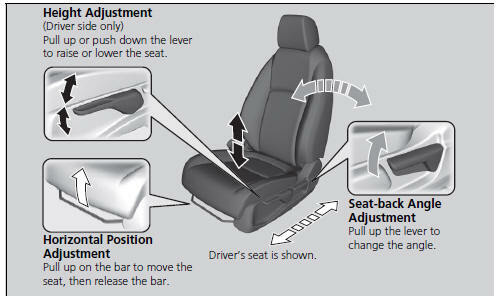 Always sit as far back from the front airbags as possible while maintaining control of the vehicle. The National Highway Traffic Safety Administration and Transport Canada recommend that drivers allow at least 10 inches (25 cm) between the center of the steering wheel and the chest. Always make seat adjustments before driving.